CCM Jetspeed FT365 Ice Hockey Skates - Senior is rated 4.1 out of 5 by 8. This exclusive skate is brought to you by Pure Hockey and CCM. The CCM JetSpeed FT365 hockey skate is designed with a pro-ergonomic shape for maximum speed generation. The JetSpeed FT365 is lightweight, and uses the comfortable, customized fit to create a more direct energy transfer. This energy transfer equates to maximum output from every stride you take. The JetSpeed FT365 features an injected construction with a composite skin, which is thermoformable and helps provide boot support and overall durability. Inside the skate, the heavy-duty microfiber liner uses Durazone abrasion protection to reduce rub in high-stress areas of the skate. A traditional 7mm felt tongue with embossed lace bite protection molds to the foot and ankle, adding yet another comfort feature to maximize your performance. Weight: 841 Grams Weight of the skate measured in Grams (Sr 8.0D, Jr 4.0D, Yth 12.0D). Rated 5 out of 5 by Zandls from Super Comfy Comfy right out of the box. Felt like slippers. Felt so good they gave me confidence I didn't have with my Vapor x500s I feel like I'm 3 times better at skating now. And they look snazzy, thinking about adding black laces to match the theme. Rated 4 out of 5 by ml35 from Great value for mens league After my $40 dollar used skates finally bit the dust after 3 years, figured it was time to actually buy new skates. Did my research and with the price of the FT365's, I'm quite happy. I'm usually a goalie, so I can geek out on gear. Decided to skate out after a 10 year hiatus. The rep at the PH store was great, talked me into going a half size smaller, which I'm really happy he did, they are perfect now after break in. Took about 5 or 6 skates to really feel "broken in" fully. 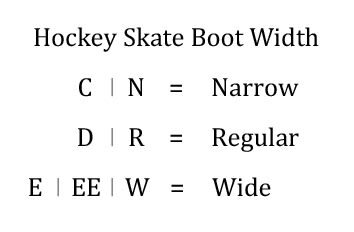 I can see a few issues as far as build/durability with the boot connection to the cowling, but that's to be expected for $200 skates. the black steel has held up nicely after 4 sharpenings so far. I'd say my feet are average as far as width is concerned, and the heel lock on these really works well, they truly become extensions of my feet. Rated 4 out of 5 by Gvanhillo from Very light skates and very little break in time. Was looking for a new pair of skates and found the FT365. Have hand them for a month now and was surprised that after the first time using them that they were already broken in. The JetSpeed TF365 are very light and extremely comfortable. Rated 5 out of 5 by BryanDM from Excellent fit, super light, perfect stiffness. Right out of the box I had my skate guy profile them to match my favorite old Tacks. I skated in a 90 minute drop-in and they felt perfect the whole time. No baking required! I'm 49 years old, 5'8", 166 pounds, and wear a size 8.5 (D). I've had all types of skates but CCM's always feel the best for my feet. These skates feel like custom slippers. I never want to take them off! Rated 2 out of 5 by Rookie595 from Great price, not so great performance. I’ve had these skates for just about three months now. Bought new at pure hockey, had them baked for recommended time, and have been skating in them 3 to 5 times a week. They felt great at first, but then the lace bite started, and my feet cramp nearly every time on the Ice. It’s almost like I feel them “breaking down” versus “breaking in”. I’ve been playing hockey/skating for over 20 years, and I just don’t think I’m going to find a good skate at a budget price. That’s what I was hoping for this skate, especially since it’s got quite a few nice “higher end” features like the black steel and vented footbed. I think these skates would be good for a beginner, but if you’ve got any experience skating/playing hockey, go with a higher end skate, your feet will appreciate it. 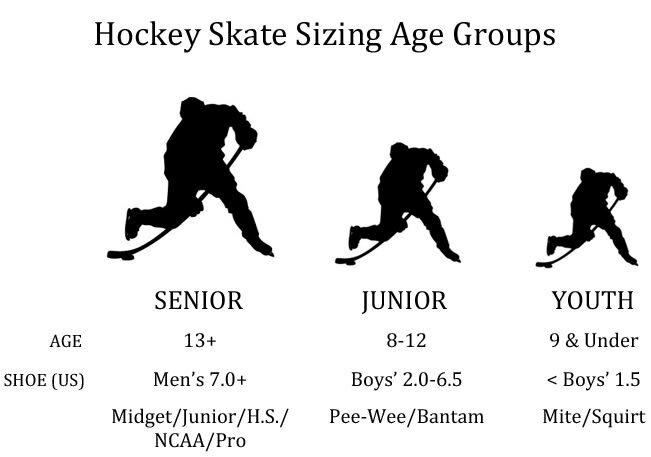 Also, if you’re a taller/heavier player, the stiffness in these skates just isn’t what I feel it should be. I myself am 6’2” at 240 lbs. a stronger boot is what’s needed. So, for now it’s back to my Easton Synergy 1300c’s. They may be old, but they still work :-) I hope this helps someone make an informed decision, have a great day! Rated 3 out of 5 by DBolt5 from Great While They Lasted I bought these 9 months ago and the runners already have a crack in them. Contacted CCM about what to do and waiting on a response. I know I'm outside the 90 day manufacturer's warranty, but I've had $60 skates last years... seems kind of crazy to me. While they lasted, they were good. Decent stiffness, however, did notice the steel got loose more than a few times. I fit fine in a 8.5D bauer supreme line but I&rsquo;m thinking of switching to the jetspeed line cause I&rsquo;ve heard nothing but raves about it, will I have issues with sizing of this boot? Are they better then the Bauer xtlx1? Are these stiffer than the Vapor x400? The FT365's may be a bit stiffer, but these are both great skates for the casual hockey player. What are the Uses Of each ccm Line? I&rsquo;m looking to be as fast as possible but tacks And ribcor are both good, as I&rsquo;ve used them all. Which is the best for speed, quickness, and acceleration? CCM refers to their Tacks line as their &quot;power&quot; skate, the Jetspeed line as their &quot;quick&quot; skate, and the Ribcor line as their &quot;agile&quot; skate. In the end, you're really just looking for a good fit. is this skate heat moldable? You are able to heat mold this skate, however the foams may not form as well as the higher-end skates will.